We came across two interesting articles which are worth reading about the Amazon text to Speech conflict with the Authors Guild. We believe the case is far from proven and the only winners will be the lawyers, the losers will be the consumers, the authors and those trying to move the industry into the 21st century in a sensible fashion and not follow the chaos of other media sectors. First is an interview between the Guild’s Paul Aiken and Engadget, ‘The Engadget Interview: Paul Aiken, Executive Director of the Authors Guild’. How we can differentiate between the Kindle as a dedicated book device and other electronic devices such as PCs that have text to speech as a feature, or the future smartphone, is highly questionable. When you change the typeset font, size, pagination, are you breaking rights? Does every file format need to be specified and rights against it agreed in advance? When I read a book on a PC and use text to speech is that ok? If I read a book out loud but through a microphone and amp is an infringement? Remember all the rights that the physical copy gives you today that the digital copy doesn’t. What is fair use and is this about rights or money? If the later how will you determine the usage on a downloaded file? If you merely slap on a supplemental charge for a feature you may never use, can’t monitor and is accepted by all all poor file quality, is that what we call fair? Some would suggest that this debate, like others, is based on emotion and not logic. We will soon have kids wishing to grow up as rich lawyers when they grow up! Amazon Back Off or Redrawing the Lines? Last night we were once again on the Litopia After Dark panel and one of the interesting debates was on the subject of Amazon’s Kindle 2 text to speech feature. The authors Guild of America had taken a stand stating that this was a violation of copyright and Amazon disputed it. Nevertheless, we strongly believe many rights-holders will be more comfortable with the text-to-speech feature if they are in the driver's seat. When first heard the rumour we had to draw breath but given all the PC manufacturers are moving into the Smartphone market why not the smart phone makers produce laptops? In an interview with Finnish broadcaster YLE, Nokia CEO Olli-Pekka Kallasvuo said his company was "looking very actively" at the laptop market. The laptop and notebook marketplace is getting mighty crowded as is the smartphone one. So are Nokia to do it alone or team up with someone and cover both bases? Do they push Symbian or adopt a more recognised operating system? Will we son see a world where we have docking bays for the smartphone which give it a big screen, mega hard drive storage and access to faster memory and cache, a hub that enables many other plug and play components to be attached, but when you undock you have you notebook to go. It can’t be far away and if we look back over just the last few years its easy to see much of the future even today. The benefit over today is to achieve the full interoperability with maybe three devices covering all our needs all using interchangeable software applications and automatically synchronising everything, with everyone at all times. Let’s even forget the docking station and keep it all wireless. The point is to achieve that sort of vision the technology has to converge today and players such as Nokia now have to be ‘Connecting People’. The Google library scanning program has been very successful in its appeal to many libraries in scanning the public domain works and now many can potentially all benefit through access the Book Search. The University of Pennsylvania libraries have gone a different route and announced a collaboration with Kirtas Technologies, who are a major automated scanning and digitization company, to trial scan on demand. Users will be able to order custom print-on-demand (PoD) editions from the 200,000 plus public domain works in the Penn library. However nothing will get scanned until an order is placed. Kirtas gains digital content for sale on its retail site, the Penn library’s digital collection grows by user demand and best of all the program is potentially self funding. Other libraries are pursuing similar or different digital agendas. In 2007, Emory University initiated a similar program with Kirkus. Cornell has said it intends to increase its PoD offerings through its Amazon partnership, to over 80,000 titles and the library is currently engaged with Google in a program to create some 500,000 digitized books over the next six years. The University of Michigan Library is the first academic library to install an Espresso Book Machine PoD machine on campus. This program to unlock the huge sleeping giant that is public domain can only be applauded and our concern has and will always be with respect to the ‘grey area’ of out of print but in copyright works and the many orphans that are current vulnerable to illegal adoption. We have the James Bond watch from LG, which coming soon to an Orange store near you in the UK. Now we have a special 007 ebook reader edition from Sony. The limited edition Ian Fleming Reader Digital Book bundle includes an eBook download code for two Bond titles, ‘Casino Royale’ and ‘For Your Eyes Only’ plus a "007" embossed cover. Well we had the ‘red’ Sony ebook reader, which was exclusive to John Lewis until it became a valentine’s draw to Harlequin. Now the people at Sony are applying their creative talent to the cover. Can we expect slogan covers bundled to a couple of books, ‘Star Wars – may the book force be with you’, graphic art covers based on classic titles with the book bundled in for free, branded covers such as the iconic Penguin modern classics again with a couple thrown in for good measure, this list goes on. However, the jacket is the jacket and ‘giving away’ a couple of titles is hardly a bargain when the reader itself costs hard cash. It would make more sense to sell the jackets as designer or branded jackets with maybe a couple of relivant books thrown in. This would be similar to Apple selling designer covers for the iPod. But buy a reader and get the jacket, we don’t think so. Apple has released a new beta version of its Safari 4 Web browser for both PCs and Macs claiming it the world's faster browser executing code up to 30 times faster than IE 7 and more than three times faster than Firefox 3. 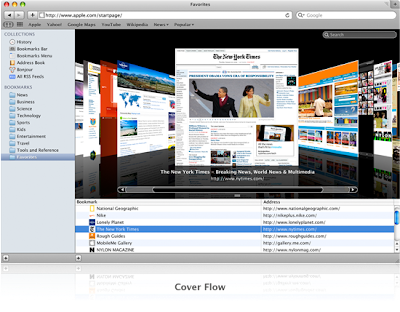 It brings innovations from Mac OS X and even the iPhone to the browser such as Cover Flow interface for Web history and bookmarks and makes web pages appear similar to the interface first introduced with the iPhone. 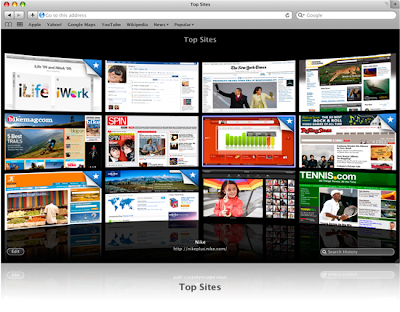 A Top Sites feature, is similar to Chrome, previewing frequently visited pages, displaying them on a wall full of monitors. A Full History Search, searches through titles, Web addresses, and the complete text of recently viewed pages and Safari’s tabbed browsing looks more similar to Chrome. Finally Full Page Zoom makes it easier to zoom into a Web site without degrading the quality of the site's layout and text. We read about exclusive deals with retailers, exculsive deals with digital devices, exclusive releases that are only initially available via one source, whatever. So what’s is an exclusive publication and an exclusive right? There is nothing wrong with an exclusive deals, after all publishing is based on exclusive rights deals. An author sells their rights to a publisher, often via an exclusive agent relationship. The publisher creates an exclusive manifestation of the work which he then sells through multiple channels or in some cases through exclusive channels. So why shouldn’t a retailer secure an exclusive deal? In music we have seen some examples and in film distribution deals are often exclusive. There are two things that are starting to happen as it becomes easier to publish and critically easier to promote and sell works. One is that like music the creator can effectively cut out the middle man. It will not work for many but if you were a A or B list author, you could cut a deal direct on an exclusive basis. This is already happening in music today. Secondly if a publisher cuts an time-lined exclusive deal, then it is fair to assume that all parties will probably work hard at making it work and as a result, when the exclusivity expires, the better the chance of increasing sales in the wider market. Some would suggest scarcity of supply actually adds value. We would expect large players such as Amazon and the large chains to push for more exclusive deals. It is easy to envisage ebook deals to be exclusive, maybe to a format, maybe a device, maybe a network, or as Amazon is effectively proving, both. Publishing is a rights and content business and it makes sense to exploit rights fully, even if that means exclusivity. The key is to engage the creator in the process and ensure that their royalties are improved as a result of wise marketing. It’s alarming how things just fail. When it’s the car or something in the home or office, we invariably utter some choice words and move one, but when its our conduit to the word we not only notice it, but count the minutes back to reality. Tuesday was a black day for Google. No their shares didn’t drop into freefall, their search engine didn’t link to all the sites it wasn’t meant to, but the impact was as huge. The world of Google mail went offline for around four hours! A few years ago we would not have thought much of a four hour reprieve from the constant flow of email, but today is different and we are all programmed to read and react to its persistent prods and questions. According to ComScore more than 113 million people use Google mail worldwide, making it the third most popular mail service behind Hotmail and Yahoo. Over a million business around the world use Google's professional office suite of applications, which includes e-mail. So the lights went out for many but did they notice and what was the true impact? The Google Mail support page said "A number of users have had difficulty accessing GMail today.The majority are now able to access their e-mail accounts again and we're hoping to have service restored for the remainder very soon. Digital logistics presents opportunities that enable the book trade to remove the physical logistics constraints that caused so much waste. In principle a digital title should only be stored once, full stop, and rendered many times. Obviously there is often more than one format of the titles but again, store once applies to each format and render to many still applies. Does this mean there is only one winner, one store and we simply adopt the flawed iTunes model – No. It means that we create an inclusive not exclusive framework that supports and distributed files on demand. Why should a publisher not retain their assets within their own repository and only let files out on an on demand basis? This is not a theory and is being adopted by the likes of Taylor and Francis and Elsevier today. The alternative is to hand assets over to an increasing number of digital aggregators, who end up effectively controlling the channel to market and restricting it to their reach and relationships. Ask any publisher today who has to deal with many aggregators; how they control or even know what is being sold, how they ensure that their total catalogue is available through all aggregators and how they reconcile sales with different reports, schedules and terms? Often they have little control on what are their assets. With physical goods the next person down the chain buys them at a discount off RRP and sells them again at an increased margin. With digital, the money doesn’t move until the sale happens, its effectively distributed consignment stock. Drop ship logistics can provide the mechanism which if adapted for digital distribution can go one further removing the need to build huge repositories and the current bragging rites about ‘mine being bigger than yours’. All that matters is the ability to fulfil the demand for online or download, rental or purchase. For many this may be a central aggregation service, but for those who want control of their assets it can remain effectively in their own warehouse and and leave when its sold or rented. The model may be complex to grasp on first hearing, but it is what is being rolled out by Gardners Books in the UK, Danish library service eBog and adopted by publishers such as Taylor and Francis and Elsevier. Ironically you will find this model described in concept on page 75 of the 2006 Brave New World report. The digital offer should be fully integrated with the physical one enabling the consumer to have a ‘one stop shop’ transaction experience and not be handed over to a separate aggregator in order to buy digital books . Separating out the transaction and the customer relationship from the instructions and communication flows from the actual pick pack and dispatch of physical and digital or whatever makes consumer sense, publisher sense and supply chain sense. Ars Technica reports today on the chairman of the Association of American Publishers, Richard Sarnoff’s speech at Princeton on the Google Book Search settlement. Sarnoff speculated that the agreement could effectively give Google and Amazon a "duopoly" in the online book market. He is reported saying that some aspects of the settlement would be "difficult to replicate" for Google's competitors and that although the publishers he represents didn't set out to create a monopoly in the markets for book search engines or online book sales, the settlement could have that effect. Legal hurdles may make it infeasible for any other firms to build a search engine comparable to Google Book Search. Sarnoff is also reported saying that the publishers pressed for the creation of this registry in part because it would be too "easy to disintermediate the publisher over time" if Google paid authors directly. This is a strange statement to make. Does this mean the settlement was driven and created to protect publishers and their self interest over authors? Some would speculate that they recognised that it was easier to do a deal and have a job than not do a deal and have no job. The books will apparently be stored on the Google "cloud," and users will access the books they have purchased a few pages at a time using a Web-based viewer. This means that the files are not downloaded but only available online. Sarnoff said that the system Google has agreed to implement won't "involve the transfer of files." So as long as you are connected and online you can read if your not you can’t. We would not argue with the online logic and it is one we have long advocated. We would not expect Google to walk away from Google Book Search or their cloud service. As we would not expect them to walk away from many other dead ventures such as their video store, their social network Lively, Google audio ads, Google Print Ads, the Dodgeball mobile service, Catalogue Search, Notebook and Jaiku, their answer to Twitter. . However if they did, then the books bought are likely to disappear, as access to them would be impossible. We presume the settlement includes some form of Escrow agreement and termination transfer. Sarnoff put it that users' ownership of a book will continue only "as long as Google exists." A Splash of Colour Makes A Difference? When you buy a car do you buy the grey model or the vibrant red? The Dell Mini 10 certainly will put some sizzling looks into the notebook races. With its choice of colour cover from Obsidian Black, Alpine White, Cherry Red, Pretty Pink, Ice Blue to Jade Green, it begs the question, what’s your choice? It will certainly get noticed in the crowded trains and coffee bars where notebooks appear today. We like the Ice Blue but there again Cherry Red or Jade Green. The screen resolution is 1024 x 576 has been marginally changed in the vertical in order to give it a movie friendly 16:9 aspect ratio and has a 92% full sized keyboard and a battery that Dell claim is good for 6.5 hours. The Mini 10 will be Windows XP with Linux pre-installed Ubuntu 8.04 later this year. The basic, £299 model has 1GB of memory, a 120GB SATA hard drive and a 1.33GHz Intel Atom Z520 processor. Options include wireless networking, Bluetooth, a 1.6GHz Z530 CPU and a 160GB hard drive and in the future will include on-board GPS, an built-in TV tuner, an HSDPA 3G module, a 250GB hard drive and 2GB of Ram. How Do You Want Your News Tomorrow? The financial burden from an advertising downturn, rising costs for newsprint, the migration of readers to the Internet, the huge debt some have to service and the general lack of a visible business model that will support the sector in the digital world, has caused many US newsprint operations to question if they can survive and what survival means. The Minneapolis Star Tribune has filed for bankruptcy, the Chicago Tribune has its debt problems, the New York Times has suspended its dividend, and the story goes on to cover what looks like many of the major cities in the US. Now the Journal Register, publisher of 20 local daily and weekly newspapers, primarily in the Philadelphia, Cleveland and Michigan has filed has for bankruptcy. Also Philadelphia Newspapers, which owns The Inquirer, the Philadelphia Daily News, and Philly.com, has also filed for bankruptcy protection in a bid to restructure its $390 million debt. We have written about the plight of the strip cartoon and how cartoonists have seen the writing on the wall and redefining their relationships. However there doesn’t appear to be a quick fix to any of the mounting problems of this sector. Some would say that although they fed us the news and offered advice to us all, they just were unprepared for the bad news and change themselves. Is local and specialist news now becoming democratised and are we seeing a fundamental change in how news is created, communicated and digested? Can we honestly see ourselves still buying paper newsprint in the near future and would we be prepared to pay a digital subscription for what is in many cases syndicated news? Why would we pay for news when its free on TV and better tailored to suit our individual needs view the Internet? Happy Birthday Litopia After Dark!! We are pleased to celebrate the first birthday of Litopia After Dark. It seem an age since we were first asked to contribute to this extraordinary fusion of literary debate and author insights. We didn’t exactly know what to expect, or how it was going to develop, but are proud to have play a minute part in its growth. Today Litopia boasts just over 21,000 listeners and its popularity grows as other book orientated shows struggle. Peter Cox has with his team shown great entrepreneurial flair, pushed the boundaries and bought a common touch and accessibility to a wide range of subjects that many struggle to communicate today. Most importantly he has created what many talk about - a social community on creativity and reading. We are now a regular monthly contributor to the Friday night show and are scheduled to be back on the panel this Friday. We have no idea what the astute Peter will choose as the subjects to be discussed, but know we will enjoy every minute of the friendly banter. If can’t make the live show you can download it and others. How many books are given away as review, gratis, or inspection copies? In the academic world, inspection copies can often account for a double digit percentage volume of the initial print run. Someone said to us recently that the practice of passing around review copies like confetti had long stopped. We merely asked them to swivel round in their chair and describe what was on their shelves – free books. Of course you can’t sell anything if you don’t promote it and show a sample of it, but all too often, the giving is still easier than the monitoring. Then we have the catalogues, flyers and advance information sheets. Digital marketing has certainly cut down the realms of glossy paper circulated in hope. However, given today’s technology and tightening credit squeeze, which comes first the physical flyer and catalogue or the digital one? Digital marketing ensures that the control of the asset remains at the source, that the latest material and its consistency is guaranteed and interestingly you know what was read, when, in the case of direct marketing by whom and importantly what wasn’t read or even opened. The ability to drive both bibliographic and marketing from digital content today is very real. There is no reason why the digital widget should be restricted to today’s ‘look inside’ only functionality. Widgets should be containers that are capable of distributing the richest information on demand; related tiles, web links, podcasts, videos, authors notes, reviews , advanced metadata, whatever. The question of then embedding widgets within widgets and creating digital catalogues is just a natural step. We suggest that this perspective of digital marketing and metadata distribution changes not only what is distributed and working practices, but how it is created and aligned to digital content. YouTube has introduced a new feature that allows video publishers to invite others to annotate by adding speech bubbles or spotlights to their videos. YouTube introduced the new annotation feature a few weeks ago, but has now extended it so others can collaborate. Commenter’s have to be logged in to YouTube to add annotations and the video's owner can moderate these comments. Obviously there will always be times when the use of annotations enriches the experience and others when it just gets in the way. It will be interesting if the ability to annotate increases hits, whether the annotation is viewed as a plus and how their usage develops. It also raises interesting copyright questions. We wrote only last week about Sony's Idou 12-megapixel camera but it appears that it will be soon joined by a competitor from LG has committed to releasing a smartphone with the same camera specification this year. A 12-megapixel camera phone is likely to generate 3MB files (100 percent quality, 24 bit per pixel) which would be fine for local storage but take time to transfer. With the clear indication that smartphones will compete head to head with ordinary digital cameras and with no traditional camera entrants such as LG entering the market we could we now see even more sophisticated features such as optical zoom, ISO setting and smart features such as face detection. The interesting aspect of all this convergence and aggressive mobile competition is understanding what the consumer will expect from the smartphone and what they will expect from a dedicate device or netbook/laptop? A smartphone can phone, text, VOIP, surf the internet, be alert fed, play and record videos, capture images and store a gallery, read and store books, store and play music, interface with the ‘office’ for mail, calendars, tasks, play games, be a calculator, tell the time and date and act as an alarm, provide interactive GPS and mapping etc etc. The list goes on. The longer the list grows the more we realize that it for any standalone device to succeed it will have to offer something special. As an industry the booktrade has worked hard to address the waste and inefficiencies in its supply chain. Standard practices have been adopted, transactional services such as PubEasy have been adopted by many and generally the exchange of information and transactions has improved. In essence the systems of the large players now talk directly to each other and remove the inefficient passing and deciphering of notes that previously took place. Many will point to standards as the main driver, but some would suggest that the consolidation throughout the industry and the agendas of the large players has been a far greater driver. However, the route cause of much inefficiency remains. We still have over production not just in titles but more importantly volume and the abdication of real buying through the abuse of sale or return. Some would argue that returns should be abolished. However, we would suggest that firm sale would seriously change the dynamics of supply, what is sold and rather than addressing one issue, create many more. Today, it would be like throwing a non swimmer into the deep sea and expecting them to survive. We have moved from bulk replenishment models to a more frequent and smaller volume replenishment model. This was great when the economics worked and demand was being meet but becomes a potential pain when demand slows down and flattens. POD is a valuable development but today is often only reducing not removing the inventory. Short cycle printing merely transfers print from large presses producing large print runs to large presses producing short print runs. The polarisation of the trade is accelerating, with numbers shrinking at one end and exploding at the other. Those who are tethered to the old model and practices are under increasing threat, whilst those shifting position have to grapple with new risk and challenges. If the trade were just physical books then the market share of some would be seen by others as unhealthy, but because the overall landscape is undergoing such radical changes it is in fact the large who are at greater risk as their ability to manoeuvre is often restricted by their inability to react. So who shows the way? How can develop best practice? Do we look to the industry bodies who have done such fine work in the past and expect the few just men who have sat consistently around those same tables to help interpret and steer the ship? Do we wish to be led by the media feeding frenzy that will predict change before it’s even out of the lab? In a many to many and diverse sector such as publishing there is often no single solution, no silver supply chain bullets. The 80/20 rules still apply the 20% but what works for the large players is often impractical for the small and visa versa. As digital publishing becomes publishing then these differences become more marked. It’s no longer about transactions and basic information but content and rich information. As we constantly read about the demise of newsprint around the world we often wonder how such a vital service such as news will survive or how it will change in the digital world. In Japan, three of the major newspapers, who a year ago formed as part of the Nikkei-Asahi-Yomiuri group, launched a joint web site that featured all their articles, have now collaborated to bring their content collectively to the iPhone and iTouch. Their joint application now delivers, the cover stories, city news items, editorials, and pictures to iPhone owners, letting them browse and compare the coverage of news stories by the different papers all within one single interface. The application only provides abstracts and the reader then has to click on a link to go to the paper's main web site. In comparison, another news organization, Sankei Shimbun’s application provides the full text. The big question is how to make money giving away content, via free applications and web sites. The costs don’t go away, the jounalists, editors, presses all still need to be paid. As newsprint experiments, some would suggest that the they are in grave danger of letting the money genie out of the bottle and getting him back in, may prove as difficult or impossible as the music business have found. How many of us know that it’s ‘Read an eBook Week’ March 8th to 14th? We didn’t know about it until we were altered to the site, http://www.ebookweek.com/ which is very informative, especially if you are interested in finding more about ereader devices. So are we going to see even more digital noise, claims and hype before the week? How do we generate interest? The market needs some clear substance and the most obvious booktrade response will be to give away loads of free books, or heavily discounted ones. Will this do the trick – we doubt it, as it only goes to cement the perception that digital should be free full stop. The DRM barriers have to remain up, as lowering these only will fuel the inevitable DRM free agenda. Even giving free rentals for one week only is likely to raise more questions than it answers and obviously will not help authors’ revenues. We believe that the big issues and inhibiting factors today are; the of lack of content, high entry price of ebook devices and too much noise on digital format and devices. We need to find a new way of communicating and presenting and ultimately converting readers new and old. Some of the voices and messages now sound like the needle’s stuck. it’s the same old record, the same old singers and we see ourselves as being not immune from this charge. We agree that people need to experience digital reading to be converted to it, but do we honestly believe that we have that experience box ticked on consistently across all interfaces? We still have issue of fortress Amazon with its ‘Amazon only’ Kindle. We also now have the real contenders starting to appear on the mobile platform. We also seem to be forever grappling with wars on devices, which frankly all are very similar, wars over formats, promoting epub and eink and eanother when all the consumer wants is to read. We support epub as a potential part of the answer, but promoting something that clearly doesn’t have the volume, nor the spread today, only confuses consumers and surprise surprise its those people who we need to communicate with. So what would we suggest happens on ebook week? We suggest a good PR company. So how big is yours? You can just imagine one businessman with his ‘small’ K2 being usurped by another with his Plastic Logic. Now NEC has stitched in eight eink screens in two rows of four could make a display nearly two feet tall and over five feet wide. The NEC prototype offers a resolution of 1,600 x 2,400 pixels, a 10:1 contrast ratio and 16-shades of grayscale. NEC is preparing to launch a 19.5in E Ink display that could pave the way for full-sized electronic newspapers. The page has a refresh time of between 400ms and two seconds, depending on the content that's displayed. Newspapers are the obvious candidates but advert displays and notice information boards offer potential for what is clearly a luggable and even with 16 shades of grey, they are still that grey! NEC hasn't confirmed when it will be released or how much it would cost but we certainly would ask whether it is Wise.com? Rather than making it bigger perhaps they should be looking at the mobile and netbook and OLED technology. Has the world gone mad? We have all read about the various companies who sold bottled tap water as natural spring water. We have seen the scene in ‘Slumdog Millionaire’ where the water bottle top is being resealed with glue. Now we read about a German publisher who plans to sell free Wikipedia material designer print on demand works. Some may applaud their innovation and the ability to monetize what many view as free. The essence of Wikipedia is to be a living and evolving point of reference. It encourages online input from all and in doing so democratizes the work. It also encourages online peer review providing auto correction and validation. It strength is that it is being constantly appended, edited and referenced. The new venture works contrary to this and the reality is that the moment it is captured in print it no longer is Wikipedia and becomes just another dead tree. So we now have a tie-up between PediaPress, Wikipedia and Lightning Source. Where Lightning Source will be responsible for all the printing, Wikipedia obviously the database and source and some may suggest PediaPress for bottling the water from the tap. The service uses an authoring tool that ‘plugs directly into the Wikipedia sites’ so users can pick and choose for their on-demand titles. The 20x14cm books are perfect bound with colour covers and black-and-white text pages. They will retail at around €7.99 for 100pp up to €26 for 700pp. It must be getting close to April 1st! Vodafone have announced the second smartphone based on the Google Android platform, manufactured by HTC, the company behind the G1. Instead of the obvious G2 name they have chosen to call it Magic. Magic will be available from Spring in France, Germany, Spain and the UK and will be exclusive to Vodaphone. The Magic has a 3.2-inch touchscreen, 3.2MP camera, GPS and a trackball for navigation; feature all the usual Google family applications; YouTube, Google Maps and Google Talk; and come in black or white. So when did your kids get hooked on mobiles? The Daily Telegrapgh reports today on a report of a survey of 546 children by the UK charity Personal Finance Education Group (pfeg). In the report they claim that over 35% of 8 Year olds own a mobile and 75% of 7 to 15 year olds owned "at least" one mobile. Alarmingly the report also claims that by the age of 10, children were shopping online using their parents' debit or credit cards. The mobile operator’s organisation, GSM Association (GSMA) have announced a new power charging standard for mobile phones which, with the exception of the Apple iPhone, enable all new mobiles to be charged from the same universal charger from January 2012. The chargers will be up to three times more energy efficient, require 50% less standby power and be based on the micro USB connection. When the economy and consumer spending slows down then hard choices usually follow. We all may want the biggest and most expensive, but when given a reality check, common sense often prevails. PC PRO today reports that the shift to spending on netbooks is continuing apace and that they now account for three out of ten consumer laptop sales in Europe.3.6 million netbooks were sold in Europe in the last quarter of 2008 and Western Europe accounted for more than 80% of overall European sales. Acer with 30.3% and Asus with 28% dominate the market with the likes of HP. Dell and Samsung collectively only having some 17.9%. Clearly consumer are deterred by ‘cheaper’ and newer brands and the ‘old guard is slowly changin’. What is interesting is that the demand todate has been predominantly consumer driven but as notebook specifications improve, 3G is integrated, the screen size increases to 10” and times gets tighter it is easy to envisage notebooks exploding onto the business sector. Asus has already stated that it will have a Eee PC with touchscreen running on Windows 7 by the summer. As we have written many times it is now easy to predict that the consumer media battleground will be between the notebook and smartphone. The laptop will survive but will be the heavy duty engine and its portability become less appealing. Dedicated media players such as games will have to fight on the enriched experience ticket and ereaders will suffer as they become marginalised and become increasingly one dimensional, eink constrained and neither one think or the other. The other big threat to the ereaders is that you can do what they do on every other device but they can’t do what ever other device does. So Why is Amazon Kindle Marooned in the US? Why is it taking so long fro Fortress Amazon to spread its K2 into Europe or eveb Canada? Terrirorial rights will not be an issue, or not one that Amazon hasn’t dealt with in the physical book world. Amazon is widely reported as working exclusively with Sprint’s mobile network but now it is reported that they actually signed up with one of Sprint’s MVNO’s Jasper Wireless who specialise in machine to machine cellular. The technology is obviously a US winner but not quite so outside the US. Could it be the strongest selling point, its ability to download files direct onto the K1 and K2 is in fact its biggest weakness? We said to Watch Barcelona! The Mobile World Congress in Barcelona is certainly living up to the expectations we had of it. Already we have seen significant announcements such as those we wrote about earlier from Adobe now we have the expected mobile jockeying from the smartest smartphone. Sony have thrown down the gauntlet to all camera freaks with their Idou which has a built-in 12.1-megapixel camera. Why do you need a digital camera when they can deliver to this specification in a mobile? The Idou will also have a 3.5in widescreen touch-screen and powerful flash for high quality photos. The symbian driven device has all the usual music and video features of their Walkman range of phones and users will be able to download extra software and applications to their device. The LG Touch watch phone we raved about earlier this year is coming to the UK via the Orange network 'later this year' . The Touch watch phone is a radical step, eye-catching and certainly will tick the gadget novelty box for all would be James Bonds. But it is no slouch on the functionality side, offering HSDPA connectivity, video calling (alongside audio), media playback, web browsing (if you've got the eyes for it) and to protect your investment, a water-resistant shell and tempered glass. We all know the track record of the likes of the UK government for loosing data, or Monster.com in having it stolen but just how much stuff is really out there and what have we all disclosed about ourselves to ‘trusted parties’? Social networks potentially have the greatest exposure as not only do they have high level personal details but more importantly our thoughts, insights, likes and dislikes. This month, Facebook updated its 175 million active users worldwide member’s terms and deleted a provision that said users could remove their content at any time, at which time the license would expire. It added new terms that said Facebook would retain users’ content and licenses after an account was terminated. So even if you want to walk away your information doesn’t! The blog post by Consumerist reportedly, received more than 300,000 views and users quickly created Facebook groups to oppose the changes. We are reminded about a US west coast supermarket who used individual’s shopping baskets and habits to promote what they didn’t buy, get them into parts of the store they didn’t visits and to fight off any competitive threat in the neighbourhood. As Facebook turns 5 years old and social networks evolve the balance between privacy and exploitation, the right to say no and the ‘sign here and ignore the small print’ and the we are big and therefore trusted parties may become more concerning. Sometimes the context, the information about information, can also become more valuable that the information itself alarming. There are many instances where text in whatever form is read or transformed into audio; Parents reading to children, teachers reading to students, reading groups sharing feelings, Jaws enabling the visually impaired to enjoy books. The recent announcement that the K2 has a feature to convert text to speech has certainly ignited a debate on the interpretation of audio. So when is book an audio book? When is alright to convert text to speech and when is it a breach of copyright? We have previously written about the complexities of generating synthesised voice from text and although it is possible to achieve high quality it isn’t there today and there is a distinct difference between an actor or author rendition and a synthesised one. The Author’s Guild has quite audibly suggested that Amazon’s use of text to speech may be a copyright violation. Are they right or wrong, or as many would scream, who cares? The objective of publishing is to publish, disseminate, spread the word and ensure due reference and royalty ensues. Some would suggest that the Author’s Guild is afraid this new feature would cut into sales of audio books. Others would point out that Amazon owns the largest audio book seller Audible and so would be potentially cannibalising their own sales. Others again would argue that the feature would offer an audio option to many books that today don’t have one and frankly never will under the current audio production model. So logic would suggest that the feature and any subsequent refinement of it may well generate new audio revenues that are not currently enjoyed by many of the Guild’s membership. In fact, it seems the stand of the Author’s Guild only serves to protect audio book publishers and increase litigation and lawyer’s revenues. Probably these may be the same lawyers who will profit from the Guild’s last stand, or as some would argue, capitulation to the other Gorillas – Google and the Book Search settlement. Well when you have taken one battle and think you have won perhaps the smell of the chase outstrips logic. We hope Amazon.com will stand by their decision to include Text-to-speech features in the new Kindle. Remember when slide rules were first introduced into the classroom and the debate quickly ensued as to whether that was the right way to teach? Then they were banned for exams and the story moved onto calculators and other gadgets and even laptops. The NYT today reports on Mobile Learning 09, in Washington. The CTIA, a wireless industry trade group, plans to present research, which was paid for by chip maker Qualcomm that smart phones can make students smarter. Some would argue the debate is a bit cynical product placement. On one hand Shawn Gross, director of Digital Millennial Consulting, which received a $1 million grant from Qualcomm to conduct the research says “This is a device kids have, it’s a device they are familiar with and want to take advantage of.” On the other hand they project that wireless companies could sell 10 million to 15 million phones as a result of this effort in the next few years. The question of what tools students use is only just reigniting. However the technology companies face the dilemma of funding their own outcomes, or letting their competitors win. All schools have already spent large amounts on PCs, WiFi and technology. The market is diverse and buying and policy is in the hands of many so the question is not whether technology will be deployed but how and what? We would expect to see the Kindle 2, Sony, Plastic Logic and all being declared good and a must have for all students. In the background we also have the LCMS (Learning Content Management Systems and lots of vested interests and potential revenue. In 2006, Eric Schmidt Google’s CEO foresaw a day when Google would have more than 1,000 employees serving a radio advertising business. This week, three years later, Google Audio Ads had failed to live up to expectations and left the radio advertising business. The move also demonstrates Google’s efforts to cut costs and focus on fewer and safer projects as its core search advertising business has slowed sharply during the recession. Only three ago, Google ended its Print Ads program, which sold spots in newspapers. Today Google has had some success in TV advertising and has not thrown in that towel especially give its potential to support YouTube. Google Audio Ads had faced challenges since it began in 2006, when Google acquired dMarc Broadcasting, a radio advertising technology company. Google paid $102 million in cash for dMarc, but the agreement included additional payments of up to $1.1 billion based on performance targets. Google’s cull is not just restricted to advertising. Last year they cut Lively, Google’s answer to Second Life. Other culls include; Dodgeball, a mobile service aimed at connecting young bar-hoppers, Catalogue Search, which indexed paper catalogues to offer online search, Notebook, a tool to allow users to take notes as they visited web sites and Jaiku, their answer to Twitter. Google has proved that when it comes to investment, they may pump money and effort in but they projects have to deliver. It would be interesting to understand what they see as their targets for Book Search but unlike Microsoft, it’s highly unlikely that they will walk away from it in a hurry. Every time stock stands still and every time it moves it costs money. So logically industries move from a 'just in case' production and distribution model to a 'just in time' one. They migrate from huge warehouses full with stock and cost, from stuffing shelves with stock that exceeds demand and is either returned or dumped, to more streamlined demand driven models built on optimising stock and minimising costs. The book publishing industry has many challenges in moving to a demand driven model but has made significant headway with its adoption of shorter print runs and back list demand management through services such as print on demand. However, production still exceeds demand, stock is often over merchandised and pushed into stores to be only returned at a cost to all. The physical logistical issues of a many to many complex supply chain such as the booktrade have long been documented and debated. But what of digital stock? Digital distribution today is still based on passing files around like we pass books today. If someone wants to sell ebooks they have to have the files. This means that you either give everyone all your files or you give them to a few trusted aggregators who will sell them. The problem with the aggregator model today is that it means another mouth has to be fed or the channel and it is often restricted to their ability to service it. One major publisher today hands their files over to some 20 plus aggregators, tomorrow this could double, treble or even quadruple. If they restricted it to a handful they believe that they will miss sales or become potentially overly dependant on others to make their money. This model may have made sense yesterday as the digital world was immature and somewhat restricted but does not make sense today. There will always be those whose market presence demands files but today that should be globally no more than the fingers of one hand and obvious to even a novice. The digital file only needs to be stored once and rendered on demand when a sale is made, limiting the financial reconciliation of sales, ensuring that a digital catalogue is consistent and available to everybody and anybody, whilst also minimising risk. The key is an 'inclusive' and not 'exclusive' distribution model. Have you ever opened a cupboard to find an old eight track, a cassette tape, and old vinyl disc when you no longer have the device to play them on? That may not be that bad but imagine in business or the arts? Think about computer files that no longer play because the software that once read them is long gone. The policy of many to date has been to convert these to the latest formats and in then continue the process as they too go out of support. Britain's National Archive estimates that it holds enough information to fill about 580,000 encyclopaedias in formats that are no longer widely available and research by the British Library estimates that old digital files costs European businesses about £2.7bn a year. That may soon change. A pan-European research project, Keep (Keeping Emulation Environments Portable), aims to create software that can recognise, play and open all types of computer file from the 1970s onwards. Using an emulator, researchers hope to ensure that digital materials such as games, websites and multimedia documents and are not lost for good. The emulator will also be regularly updated to ensure that all formats remain supported in the near and far future. The 4.02m euro (£3.58m) project involves Portsmouth University researchers who aim to create a universal emulator that can open and play obsolete file formats and other institutions such as the national libraries of France, the Netherlands and Germany, and the European Game Developers Federation. We wonder how the project will deal with that other issue impacted by obsolescence – DRM. When it comes to a playground fight its always best to have some big hitters alongside you and even better if you have more numbers on your side. Today the playground battle is over the mobile application. Realising that the battle of operating systems is all about applications Nokia with Symbian having just recruited 14 more companies has 78 members. Amongst the new Sybian members are Bank of America, HP, News Corp, GPS vendor SiRF, WiFi vendor Nanoradio, MySpace, chip manufacturer Qualcomm and memory card giant SanDisk and there are rumours of a strategic partnership between Nokia and Facebook. The full list of Sybian competitors now include; Google's open-source Android OS, Windows Mobile, BlackBerry, and Palm's webOS. In the membership battle, Google with Android has 47, the LiMo Foundation has 55 and Apple interestingly has only one member –itself. Also some are edging their bets and like Qualcomm, SiRF and Omron belong to both the Android and Symbian camps. applications from US and UK developers and that they will extend this to Germany, Austria, Netherlands, France and Spain later this quarter. Google Checkout will serve as the payment and billing mechanism for Android Market. This week BBC4 that often lost channel broadcast two book programmes ‘Why Reading Matters’ and ‘How Reading Made Us Modern’. We realise that those outside of the UK will not be able to view these BBC/iPlayer links but we would recommend those who can to find the time to watch. ‘Why reading Matters’ relates how modern neuroscience is revealing the extraordinary leap we made from our primary senses, to being able to read, understand and the cerebral workout that reading gives the brain. Rita Carter explains how the brain works at reading, she explains how the brain adapts and that importantly, no single part of the brain is dedicated to reading. We are all reliant on joins between different partsof our brains. What are the N400 and P600 reactions when meaning is wrong, surprising or not logical? Did we realise that Shakespeare used difficulty to excite the brain. Importantly is empathy the difference between games and reading? In ‘How Reading Made Us Modern’ the English academic John Mullan charts the explosion of reading in English society in the 18th century. He starts with the suppression of literature before the revolution. In the reign of Charles 2 printers had to get a licence to press from the king and appachniks. Offenders who published without licence were hung drawn and quartered, printers pilloried and booksellers lost their hands. There were only 20 licensed printers in the whole of the country at the time of the Bill of Rights in 1695. The ensuing lapse of the licensing act created an explosion of print; newspaper, journals, books, pamphlets and a new luxury market. On 11th march 1702 The Daily Courant, the first daily newspaper, was launched and within 10 years the London Dailys had mushroomed from 1 to 20, each with their own distinct political position and making ‘Politians of Everyman’. There were coffee houses on every street corner that in turn fuelled debate, reading and made it fashionable to be seen reading. The Spectator was read by 1 in 10 Londoners. Under the patronage of bookseller entrepreneurs such as Robert Dodsley, Sam Johnson’s Dictionary of the English Language, published in 1745, defined good writing and language. George III created his huge library that now resides at the British Library. Every village had a bookbinder and a gentleman was often judged by the covers and spines on his shelves. Mulllan presents three further interesting developments that have helped shape reading as we know it today. The introduction of ‘penny fiction’ for the masses - the Chap book, which were bought from so called ‘Chapmen’. The creation in Edinburgh in 1740 of Alan Ramsey’s circulating library. These quickly spread into every provisional town and today we would call these public libraries. Finally, the literary emancipation of women as readers, writers and ‘blue stocking’ women, which help create one of the major step changes – the novel, which was best reflected in the first best seller ‘Pamela’ by Samuel Richardson. Hats off to the BBC for bringing these fascinating insights into reading. Back on 15th July last year we wrote about the Fujitsu Flepia ebook reader with colour screen. We reported that the devices were rumoured to be $941 and questioned whether the price was too high and also the lack of keyboard. The recent spat of ebook announcements has certainly woken up the market and we now read that the price is still likely to be around the $900 mark but the screen is touch sensitive so our fears on the lack of a keyboard have been addressed. It has built in wi-fi, USB 2.0 and SD card connectivity, as well as stereo speakers and the whole thing runs for up to 50 hours on a single charge. So where it and what is are it plans? Today it is apparent to be found in the Termina Kinshicho Fujiya restaurant in Tokyo and is under a test is being conducted as a joint venture between SoftBank Telecom and Mainichi Newspapers. Customers of the restaurant are able to browse newspapers and advertisements, train schedules and weather reports wirelessly sent to the terminals. Even the menu is on the reader! When we spoke to a musical friend Tim Hardy in Sedona, Arizona and mentioned we had just been looking at Spotify and enjoying the streamed music, he suggested www.wolfgangsvault.com. Today we experienced that and were suitably impressed. Wolfgang's Vault owns one of the world's largest collections of original concert posters; hundreds of rock, political, sports and comedy posters all for sale in mint condition, and many are signed by the headline performer or the graphic artist. These like the promotional and backstage memorabilia, passes , concert tickets, tee shirts, books, magazines date back as far as the 60s and will appeal to many memories of the rock heydays. Read record reviews and in-depth articles about the greatest performers of yesterday and today in their Crawdaddy magazine going back to the sixies and now an online webzine. There are also many concert recordings available and streamed for free within the vault. You will find thousands of legendary live recordings with hundreds available for download and the Vault is also available as a free app on iPhone. The list of streamed music free to listen to includes live tracks from concerts by the likes John Lennon live at Maddison Square Garden in ’72, or legends at the Fillmore such as the Grateful Dead in ’66, Jimi Hendrix in ’68, Led zeppelin in 69, or Derek and the Dominoes in ’70, or David Bowie at Montreal in ’83, U2 in ’83, right up to the White Stripes today. The list is vast and provides something for everyone. Where did all this come from? Wolfgang was Bill Graham , a music entrepreneur who commissioned works of art to promote his shows and he overprinted and preserved the exceptional art, photography and recordings that came from these shows. For over 30 years, his company accumulated and stored this material in newly minted condition. The vast majority of material in Wolfgang's Vault comes from the original archives of 'Bill Graham Presents'and music and concert reviews. So why do we report about it here and does it have any relevance to today’s digital explosion? We believe that it demonstrates that its digital content often needs context to provide a rounded experience. If we look today's musicians they are now signing up to Live Nation and controlling the concert and merchandising and Biil Graham understood this back in the 60s. Wolfgang’s Vault will stream rare concerts for free and sell merchandise and memorabilia today. It was George Martin, who when asked in the 60s where the value was, said ‘the album was the menu and the concert the meal’. Today we visited the official Google Book Settlement site. It is very comprehensive with respect to the detailed settlement agreement, claims and registration procedures and the mass of information that is about to be collected in order to make the settlement work. If anyone has let the settlement slip to date then the detail within the site will bring home the reality. I own rights in a photograph or illustration in a Book. Am I included in the Settlement? What are "Inserts" as used in the Settlement and Notice ? Does it matter if my Book is in-print or out-of-print? What am I giving up if I stay in the Settlement? Does the Registry provide a way for class members to know if their books have already been digitized in a US library? How can a library become a Fully Participating or Cooperating Library? Who can use the Research Corpus? The organization to which the Notice was sent has gone out of business or was dissolved. What should I do? We were somewhat surprised that the Opt out didn’t request an ISBN number (if known or available) and could work off the title and author details but again its Google so perhaps matching these is simple. It begged the question about part lists that have been purchased published under one publisher but now owned by another. Creating an account appears simple and is clearly geared to the small organisation. We suggest that most people pencil some serious time in their diaries before May 5th if for no other reason but to ensure that they understand the implications. 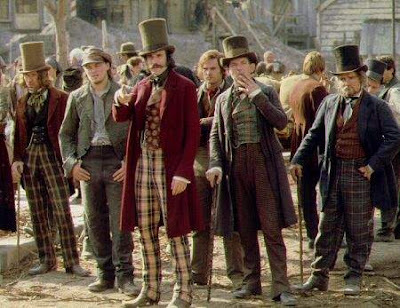 We can see a neat line of consultants who will probably spring up to help. Spotify - A Future Digital Delivery Model? Spotify is a new online music service offers free online music sponsored by paid adverts and downloads. Created by two Swedish entrepreneurs, Daniel Ek and Martin Lorentzon and based in London and Stockholm, it has already attracted tens of thousands of users who in turn invited their friends to join. This week the company opened the ‘by invite only’ restriction to allow anyone in the UK to sign up. The company founders are reported to have invested more than €8m themselves and have received a €15m injection from two Scandinavian investment companies. Spotify’s streaming service enables users to pick from a huge catalogue of songs, listen to them for free over the internet and, hear or see a few adverts along the way. Users can also choose to buy a day's worth of ad-free access for 99p, or become a premium subscriber – where there are no adverts at all – for £10 a month. Spotify does not yet offer links to let people buy tracks today. Although users cannot keep the tracks they hear, there are no restrictions on how many times they can listen to a track. This results in reducing the incentive to download illegally. In the future, the company hopes to provide a service that works on mobile phones, car stereos and even iPods. We signed up and were duly impressed. Every search brought new options to listen to a wealth of tracks but it was soon obvious that the range could have been deeper. Then we read that the music industry had the removal thousands of tracks in a row over licensing last month. Other streaming services, such as Last.fm in London, bought by the American media conglomerate CBS in 2007, are growing in popularity as music on demand expands. We believe that the Spotify model could be something that works for movies, games and across all digital content, including books. The announcement that Stanza will support Adobe’s ACS4 DRM is good news for the wider book industry. It enables PDF Adobe eBooks and epub files to be read on the iPhone platform through Stanza’s market leading free book reader. It gives Stanza a DRM capability that is widely accepted, secure PDF based and epub files and Adobe a second platform to complement the Sony reader. We don’t believe that it’s the end of the ACS4 expansion into the mobile platform. Importantly it is a timely shot across the bows of Amazon and comes hot on their 15 minutes of K2 fame this week. It clearly shows an alternative to fortress Amazon and a further home for the Esperanto of ebooks standards epub. It also comes after Google declared their 1.5 million US and 620K worldwide tiles. However it importantly enables many smaller publishers to effect a quick and effective strategy through Adobe ebooks and utilise their PDF files. Now we just need other mobile platforms to follow Stanza and release secure ebooks to this obvious platform, Adobe and Apple to offer Flash on the mobile platform and both retailers and publishers to now get behind the obvious momentum. The Wall Street Journal reports that some publishers and agents expressed concern over a new, experimental feature on the K2 that enables it to read text aloud with a computer-generated voice. This feature is widely available on all PCs today so what is the fuss about? Paul Aiken, executive director of the Authors Guild is reported saying, "They don't have the right to read a book out loud, that's an audio right, which is derivative under copyright law." An Amazon spokesman in response noted the text-reading feature depends on text-to-speech technology, and that listeners won't confuse it with the audiobook experience. So is this a storm in a teacup or a genuine threat to audiobooks as we know them today? Firstly, we must separate the needs of the visually impaired and those just wishing for an audiobook. The former needs are slightly different and a text to speech offer may meet their needs and must be supported in that effort. Ultimately both require a higher sensitivity of audio specification than that auto generated. We have looked hard at generating audio from text using leading text to voice synthesis technologies. We found that there were three distinct phases to achieve high quality rendering. First you need to create a stylesheet that is applicable to the text being rendered. This identifies pitch and variation and also creates time pauses and other effects when encountering certain punctuation. This may well generate a number of templates, but will be different for different genres of books. Secondly, there is the voice synthesis engine and dictionary which differ widely and are ever learning and growing, but bring that human aspect to rendering and can introduce dialect as well gender. Finally, there is the need to tidy up any mistakes, be they dictionary or punctuation. We did a fiction and STM book and achieved a full rendering in no time whatsoever. The results were very good and with effort could be excellent. We found that the production process needed expert input and although they improved productivity and reduced costs they didn't match the quality of actors and today’s audio books. So are instant text to voice renditions going to threaten audiobooks? We don’t think so today but they will do over time. Can text to speech synthesis change audio book production? Yes potentially its almost there today. Can publishers take advantage of text to speech? Certainly, if not just to comply with disability demands. Will text to speech threaten territorial rights and offer instant translations? Well try using Google translator, it’s an excellent tool but like most translators it can make hard work of grammar and words that don’t easily translate, but it’s here today and free. Some may think that the K2 text to speech has another objective and maybe that lies in the educational market. It appears as if the mobile world has ignited and next week's Mobile World Congress in Barcelona is likely to be the event of the year and one that now impacts all media sectors and gives pointers to the future of technology and media consumption. We have reported recently on the smartphones to be launched the potential rumours of a Stanza and Adobe DRM ebook solution and much more. So what else can we expect? Another rumour is that Nokia about to launch an application store for its Symbian platform. Will it happen? The reality is that Nokia has to make this move to keep up with the explosion of competitors who are already there. We now have the iPhone App Store, Android Marketplace and Samsung and rumours of a Microsoft ‘online bazaar’. Nokia already has some distribution platforms for Symbian applications, but nothing to date that is compelling for both users and developers. 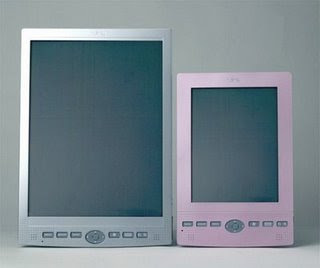 LG plans to unveil the LG Arena, model LG-KM900, a touchscreen multimedia phone with a 3-D user interface. It boasts a cube-based layout that provides four customizable home screens for access to its features, which include music, movies and pictures. Users can "spin" to select different applications. Personally we await the he new LG GD910 wrist phone. We all know that irrespective of the K2 show, the mobile smartphone is the hottest platform today. It is effectively moving the agenda from the standalone readers onto the new platform and 2009 is teed up to be a significant year as ereaders vie with the smartphones and notebooks and downloads vie with rentals and retailers vie with libraries. The digital dearth is about to change and whether we like it or not, Google is about to unleash ebooks, library subscriptions, free to view and sales onto the market. DRM is still here but is not protecting the content as much as it is locking content into channels and aggregators’ models. So what is hot gossip and what do we think may make the news now K2 has had its 15 minutes of fame and Plastic Logic has again said its coming sometime? We believe that Adobe may well announce that it’s going to port its new ACS4 DRM service to the mobile platform. This was always going to happen but it makes more sense to do it sooner than later. When would it be logical to announce it – CES in Barcelona next week, when everyone is talking mobile. What platform will they choose? It unlikely to be Android as it would be pitching directly against Google. It’s unlikely to be Microsoft which would rule some of the others out. It would be good to select a partner that can promote it and facilitate it and that leads us to a narrowing field of players. Some would suggest that Lexcycle's Stanza, who already has the leading iPhone application, may make a perfect rhyming couplet in harmony with Adobe's DRM. Today was a bit like watching the edited highlight of a big sporting event when you know the score already. So K2 has landed looking as predicted, priced much as expected and with a promise that the latent demand, built up since they stopped shipping, will be served first. Has it ventured outside of the US – sadly no. Did it say anything about breaking out of the Amazon centric world that owns the content, exclusivily communicates with the devices and owns the DRM format- again as expected no. The K2 may well excite many but this 'fortress Amazon' protectionist approach to the world could well backfire. After all, who seriously wants to be locked into a one way street when the mobile motorway running next to it offers so much. 'Buy US' may resonate with many but it could drive those outside the US to look seriously at alternatives and once committed its hard to see these consumers returning to snap up a 'looky-likey' device that is closed to all others. The Stephen King announcement is welcomed and we take our hats off to the pioneer who wrote Riding the Bullett what seems an age ago. But no matter how many celebrity endorsements are bought by Amazon, they aren't going to change things – its still an ugly duckling. Guess What? Yes Yet Another Smartphone! Question: Who is the current largest provider of touchscreen mobiles in the UK? Many would answer the iPhone and if media noise drove the result, they certainly would be right. Others may choose Nokia purely on the dominance they have on the mobile market. However the answer today is Samsung. So we have to be aware that they plan to launch next month in the UK an updated version of their touchscreen Tocco device - the Tocco Ultra Edition. Its ‘scratch-resistant screen’ model is based on OLED (Organic Light Emitting Diode) technology, which gives a sharp resolution, vivid colours and doesn’t drain the battery. The Tocco Ultra Edition (to be called the Ultra Touch everywhere else in the world) is similar in many ways to the previous model only thinner with a slide-out numberpad. Some believe that Samsung will announce that it is opening an application store to compete with the likes of Apple's iPhone App Store at next week's Mobile World Congress event in Barcelona. The mobile apparently runs on Samsung's proprietary SHP operating system, which may prove a frustration to consumers on both it’s responsiveness and also the fact that its another operating system to many. Marvel.com now hosts games, videos and content as the Marvel Digital Comics Unlimited portion of the website, with more than 5,500 comic books available for subscription, including web-exclusive content. Marvel is hopeful that using these motion comics as a gateway to print comics and will get people interested in reading comic books. They have also adopted a streaming approach as opposed to a downloading one. This gives them additional from a piracy standpoint. The graphical visual nature of the comic book combined with the story length offer a real opportunity for a migration to digital form. Interesting they offer a potential co-edition between print and online where comic fans will always want the paper as a collectable but probably enjoy the convenience of digital. Digitisation also offers a new audience, further rights extensions and merchandising tie ins and potential extensions into games and film. We believe Marvel is clearly taking logical steps and that comics are entering an exciting era. 1. The economy. In the current economic climate people will turn to devices such as the Kindle which pays for itself after the purchase of 20 or 30 books and offers savings on books, magazines and newspapers. This is not a sound argument as how many people today read 20 to 30 books? The kindle itself demands upfront investment which people will be reluctant to do. Finally the readers now have to compete with smart phones. We believe the economy will drive consumers to look at alternatives and bargains but question the Kindle logic. However we believe that ebook appeal will grow in this climate. We fully support this logic as it is clearly visible today and the newsprint and magazine sectors are in deep pooh today. However books are not as environmentally unfriendly in themselves only in the sale or return practices, over production and poor inventory management. POD is starting to get the eyeballs as a solution but we must also beware the electronic equipment is not friendly when we strip it down. Does this drive ebooks or simply change the publishing value chain? It’s a chicken and egg debate. We agree that the old model is under serious pressure and new ones such as self publishing and digital production are challenging the old ways. Ebooks, digital content, digital marketing, pod, digital workflow are all parts of the solution but ebooks by themselves are not the major driver. Digital marketing is not about ebooks and here we seriously differ in our opinion from Mike. We believe that digital marketing offers a huge opportunity for all but also it offers this for both physical and digital content. The biggest potential change that publishing faces is moving from basic information to rich contextual information that unlocks that which today is often hidden or disjointed. The impact will be greater than at any time and everything you ever wanted to know will be simply a click away. Some will say that tying this to eBooks is naive. 5. A rise in books written for electronic reading. ‘The shift from print to electronic will change the nature of the book itself. Many books will be shorter. They'll be more timely and culturally relevant. They'll be more colourfully and engagingly written. And they'll go after young readers like nothing before’. Here we must fully support Mike. The idea that books must be 75,000 words and 256 pages is no longer relevant. It was more out of an economic model that was based on paper. The challenge is to not merely migrate books written for paper, break the jacket and convert them to ebooks. This is like expecting the first cars to be pulled by horses! Newsprint and magazines are not ebooks and this where the logic falls apart. Newsprint will migrate online and still has to find a way to do that economically but it is not a book. The argument is like saying everything we digitally read will be an ebook- it won’t and the question it raises is , what is an ebook? But more on that later. We believe that Mike may get the result but the game and issues will be different but clearly the game is getting serious and is in play. Kindle 2: Two Days to go ? In the past, songs were always song the same way, but now you can go to a church and a song could be sung a little differently in every church. Lifeway Christian Resources, the publishing division of the Southern Baptist Convention, with nearly 16.4 million members is the largest Protestant denomination in the U.S., this week launched a new online digital music platform, SongMap. The service not only offers downloadable Christian music but also enables users to transpose keys, change songs' order of verses, choruses, introductions and transitions, and download their creation and print out sheet music for various instruments. SongMap, is aimed not only at Southern Baptist congregations but other Evangelical churches and has 900 downloadable songs that include contemporary, gospel and traditional hymns.Although the typical users of SongMap will be Christian pastors and music leaders, the technology also can be a tool for schools, wedding planners or anyone needing customized sheet music or audio files. Lifeway surveyed over a 1,000 churches and found many have trouble finding musicians to perform and lead in church services. SongMap now enables churches to use music in their services, with or without musicians. SongMap music was created by over 150 Nashville-area studio musicians, engineers and producers. Users can access and pick songs through Lifewayworship.com Once an arrangement is complete, they select and print out sheet music for an individual instrument, with each instrument costing $1.49. They can also purchase accompaniment tracks, which omit vocals, for the congregation to sing along to. The cost per track is $1.99. The NYT reported that Google will make their 1.5 million public domain books, that are available for free on PCs and now also make these accessible on mobiles. The same article also reported that Amazon was working on making the titles for its popular e-book reader, the Kindle, available on a variety of mobile phones. So this tells us that the consumer is certainly going to have a mobile ebook experience and in the case of Google a free one. But before everyone around the world rushes, as we did, to experience Book Search on a mobile, it appears to be limited to those operating under Android (Google’s own mobile operating system) and the iPhone. It certainly wasn’t working under Symbian, the system used by Nokia. Also although 1.5 million is the figure quoted, this only applies to the US and outside of there only around 620,000 titles currently available. Still a large number by anyone’s standards! While these books were already available on Google Book Search, these new mobile editions are not image but text files, enabling a better reading experience and download performance to a small screen. To try it out, open up your iphone or Android phone and go to http://books.google.com/m. Google said it would extend the service to include out-of-print titles and current books. This then extends their land grabbing settlement benefit sales and licensing opportunities. Amazon who are expected to unveil the Kindle 2 next week, did not say when Kindle titles would be available on mobile phones, or importantly what the implications would be. The Kindle currently offers about 230,000 titles. Amazon’s move onto the mobile is a no brainer. If they stay marooned in Kindleland they may well end up with the content, but on a device no one wants. What many forget is that they also own Mobibook and could easily move onto the mobile using a tweek of the mobi format. Some would question whether Amazon would open itself up by using the standard mobi format or that its more likely that the files will remain Amazon only but mobi exclusively restricted. It is as unlikely that they will embrace epub for delivery as to see them loosing their grip on their digital content. Some say that the reading experience on a small screen will never take off stating that the printed page and ereaders have been optimised for reading. Others will point to the Blackberry and emails that are being read all around us today, the Keitai novels in Japan, texts and also the great variance of quality and size that exists in print that some of which some would say is just as hard to read! The reality is that the market will decide what and when they read. What is clear is that Google now has arrived in the market and given the treasure trove they have potentially acquired for chump change, they are certainly going to have an increasing impact on the market. Secondly those who doubted the mobile platform would work for books better start to think again! Whatever happens it's certainly interesting times on the mobile platform and with Plastic Logic and K2 coming on the 9th, a hard choice time for many today. Audiobooks Just Got a Look Clearer? So Is The UK Going Digital Selectively? Toshiba to Shake the Mobile Market?